Thank you for your interest in American Heart Association ACLS Instructor Training with CPR Seattle. 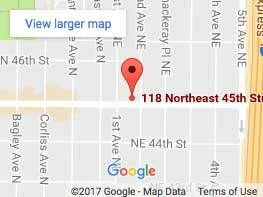 Feel free to call our staff 8:30am - 5:00pm Monday - Friday with any questions you might have (206-504-3280 or cpr@cprseattle.com). Instructor must be aligned with an American Heart Association Training Center. CPR Seattle welcomes new ACLS instructors to align with us. Please give our staff a call for further details at 206-504-3280, or log on to the AHA Instructor Network and select CPR Seattle as your Training Center. Instructor must hold a current 2015 guidelines ACLS certification card. Be licensed or certified in a healthcare occupation in which ACLS skills are within the scope of the candidates' practice. A CPR Seattle Training Center Faculty must monitor instructor candidates teaching an actual ACLS class before receiving an instructor card. Candidates must enroll in a ACLS Course Monitoring Class within 6 months of their instructor course. If the candidate does not complete the course monitoring session within 6 months of completing the instructor training, the instructor course must be taken again. Please contact CPR Seattle to order your materials (206-504-3280, cpr@cprseattle.com).